Nutone Broan® High capacity fan-forced wall heater has heavy duty 18-Gauge steel grille with down flow louvers for distribution of air gently towards the floor. It features a thermostat for heat level controlling. This heater has a voltage rating of 208/240-Volts AC and current rating of 12.5/6.25-Amps at 240-Volts. The heater in white color comes with lubricated motor, heavy duty sheathed element with steel plate fins and a manual reset thermal overload protector for ensuring long time heat free operation. It is suitable for residential and light commercial applications. 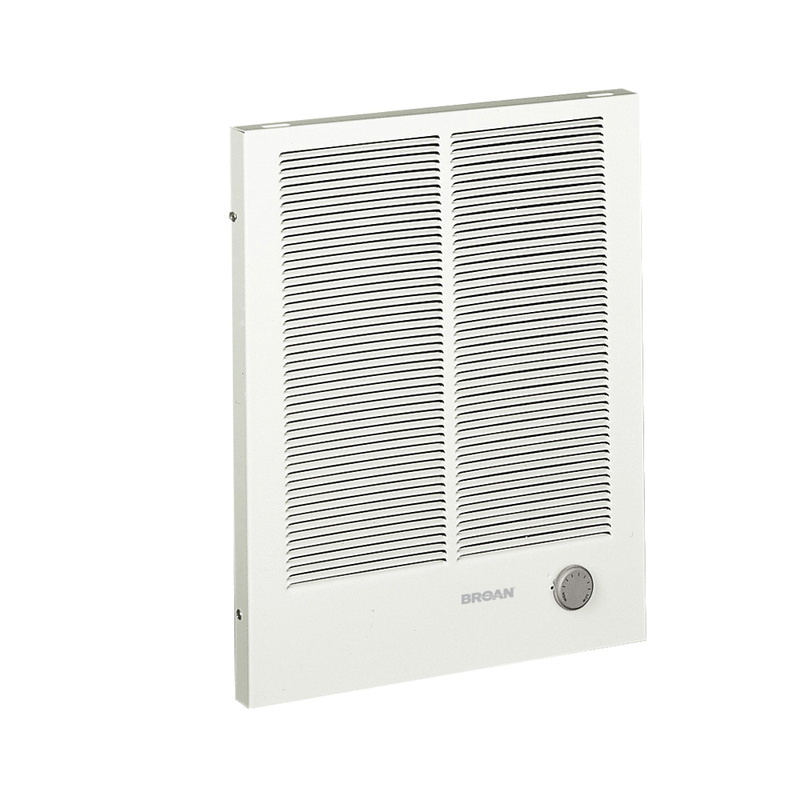 High capacity fan-forced wall heater is UL listed.